Your guest receives three eight balls. One "8" ball in two of three pockets wins a prize. One "8" ball in each pocket wins a special prize. Ages 8 and older. 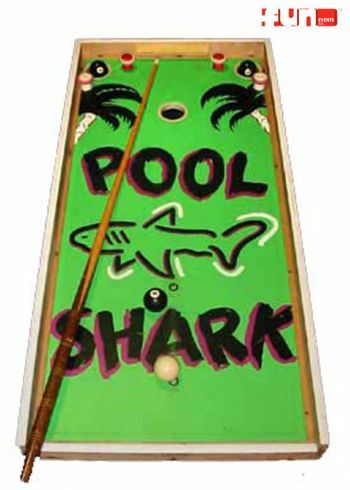 A fun game rental party idea for any special event, school carnival, birthday party, church festival or company picnic.